AZzardo 'Toma Floor' single light floor lamp in black metal with textured gold inner. The product code for this fitting is AZ2379. 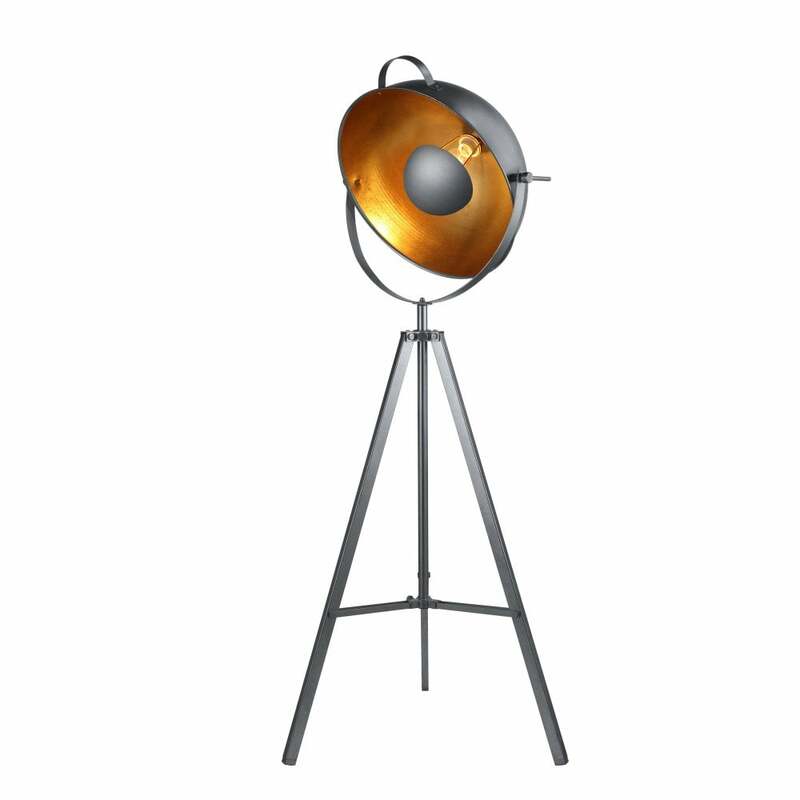 The Toma floor lamp is a smooth, eye catching design. The classic tripod style creates a vintage look and the contrasting matt black and gold leaf finish adds an industrial feel which is perfect for modern and traditional decors within your home. Complete the look with the Toma ceiling pendants available in both black and white. The Tome floor lamp is also available in white (AZ2378).